Interior Designer. Representative director of Casappo & Associates. Born in Tokyo in 1945. After graduating from Keio University in Tokyo, he went to Italy. Worked at RINASCENTE department design section in Milan. Since 1971, he worked for Aldo Jacober architect studio in Milan. In 1975, established design office, Casappo & Associates in Tokyo. 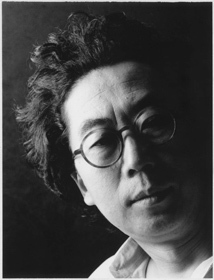 His major works are: IBM Makuhari, Chiba (1991); Reaber Crown Department, Taipei (1991); Seoul City Club, Seoul (1998); Apple Computer Retail Store, U.S. (2001-2003); The Museum of Modern Art, collaborating with architect Yoshio Taniguchi (2004) Currently, Ueki is awarded Industrial Design Excellence Awards Gold Medal (Apple Computer Retail Store) in 2001 and BEST STORE OF THE YEAR 2004 (TOUCH) in 2004.